At Cranford Hospice on November 25, 1998 in the presence of his family. Loved husband of the late Nel. 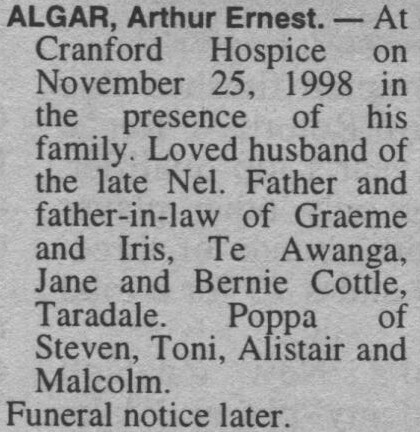 Father and father-in-law of Graeme and Iris, Te Awanga, Jane and Bernis Cottle, Taradale. Poppa of Steven, Toni, Alistair and Malcolm.